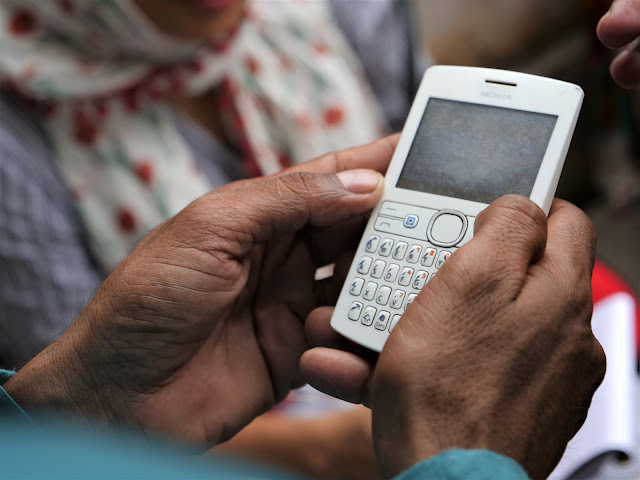 Can Mobile Technology Bolster the Indian MSME Sector? We feature a collaborative blogpost by Pratibha Joshi and John Victor Arun Kumar, Small Enterprise Finance Centre, IFMR LEAD. The role of the Micro Small and Medium Enterprise (MSME) sector in India cannot be ignored. With 4.6 million enterprises, it employs 800 million people, and accounts for 45 percent of manufactured output and 40 percent of exports. However many firms suffer from lower productivity and sub-optimal business decisions due to lack of business and financial management knowledge and skills. Governments across the world are looking at ways to impart necessary skills and training to enable entrepreneurs to survive in today’s competitive markets and to grow their businesses further. For instance, in India, the Ministry of MSMEs has established Entrepreneurship Development Institutes that provide classroom-based training session for entrepreneurs. In 2012-13, the MSME Ministry allocated Rs.258 million (USD 4.6 million) to NIESBUD (National Institute for Entrepreneurship and Small Business Development) for training and skill development of entrepreneurs. Studies have shown that firms can indeed benefit from business advice. A study (Bruhn et al, 2013) provided consulting services for four hours a week to a sample of MSMEs in Mexico for one year, and observed improvement in business performance. In another study (Bloom et al. 2011) 17 large textile plants in India were extended professional consulting advice that resulted in 11% increase in plant productivity on average.However, providing these individually tailored business consulting does not come cheap! Business advice provided to the textile plants in India cost $250,000 per firm, whereas for the study in Mexico, annual costs were to the tune of $11,856 per firm. Therefore, there is a clear need for designing a cost effective model for delivering business advices. Apart from one to one business consulting, projects have provided financial literacy through various mediums – classroom setting, individual customized financial training, etc. A meta-analysis of 201 studies(Fernandes & Netemeyer 2014) shows that very few studies (approx. 14 studies) increased financial knowledge of participants, and an even smaller number of studies (not more than 2 studies) led to any significant changes in financial behaviour among training recipients. Despite some positive outcomes of classroom trainings, the methodology may face a variety of challenges, such as lack of stickiness of the knowledge imparted, high opportunity cost in terms of time foregone for attending such classroom training; making formal classroom training a challenging medium for disseminating knowledge, be it on financial literacy, or even agricultural knowledge. Although, on a more optimistic note, a study (Drexler, et al2014) done in the Dominican Republic, keeping behavioural aspects of learning in mind, adopted a differently designed training program. The study found that participants who received the standard fundamentals-based accounting training showed little improvement in business practices. On the other hand, participants who were given the simplified financial heuristics training, i.e. rule-of-thumb training, produced significant and economically meaningful improvements in business practices and outcomes. Apart from thinking about the content of financial training, the medium through which it gets delivered has to also be cost effective and scalable. A study (Cole, et al, 2012) used mobile technology to provide information to cotton farmers in Gujarat. The study found that there was a high demand for agricultural advice via mobile, with more than half of the farmers availing the service by calling the number in the first seven months. They also observed an increase in the adoption of more effective pesticides, and reduced expenditure on less effective and hazardous pesticides. The participant farmers also shifted to risky but higher return cash crops such as cumin. Recognizing the merit of cost effective models for providing behaviour-changing business trainings to the SME sector, IFMR LEAD (Small Enterprise Finance Center), is currently implementing/evaluating a project that combines the studies done in Dominican Republic and Gujarat, to provide easy-to-understand and actionable financial heuristic business advice via mobile phones. In this ongoing study, we have collaborated with ideas42 a behavioural design firm, and with a partnership with an innovative MFI Janalakshmi Financial Services and Jana Urban Foundation to pilot a mobile-based business training service for approx. 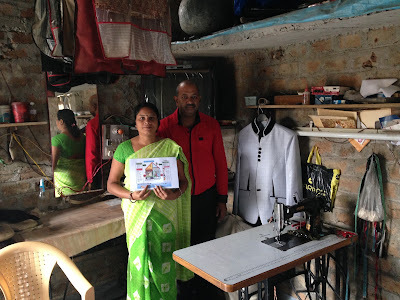 2,000 clients of Janalakshmi Microfinance. The study has so far rolled out 18 messages, and is moving towards a midline survey. Principal Investigators on this project are Antoinette Schoar (MIT Sloan School of Management), and Shawn Cole (Harvard Business School). 1. Can rule of thumb business advices delivered via mobile technology lead to any behavioural changes among microentrepreneurs? 2. Do the rule of thumb business advices result in any impact on business profitability (in the short and medium term)? 3. Which sub-groups of microentrepreneurs benefit the most from these financial heuristics delivered via mobile technology? 4. Does mobile based business advice have the potential to be scaled up and become a sustainable business model? Stay tuned to know more about what we find from the midline survey(scheduled for June & July 2015), and our experience of interacting with microentrepreneurs from the field! Bruhn, Miriam, Dean S. Karlan, and Antoinette Schoar. "The impact of consulting services on small and medium enterprises: Evidence from a randomized trial in mexico." World Bank Policy Research Working Paper 6508 (2013). Cole, S. A., & Fernando, A. N. (2012). The value of advice: evidence from mobile phone-based agricultural extension. Harvard Business School Finance Working Paper, (13-047). Drexler, A., Fischer, G., & Schoar, A. (2014). Keeping it simple: Financial literacy and rules of thumb. American Economic Journal: Applied Economics,6(2), 1-31. Fernandes, D., Lynch Jr, J. G., & Netemeyer, R. G. (2014). Financial literacy, financial education, and downstream financial behaviors. Management Science,60(8), 1861-1883.